Do you really know how your used cartridges are processed? Many companies nowadays feel they are “doing the right thing”. They think that by buying a “responsible” print cartridge, they are taking part in a virtuous sustainability process, which includes sorting and recycling in compliance with regulations in force. This may be far from the truth: the fact that it is collected does not guarantee a clean future for the product, and no one really knows what becomes of the cartridge concerned. 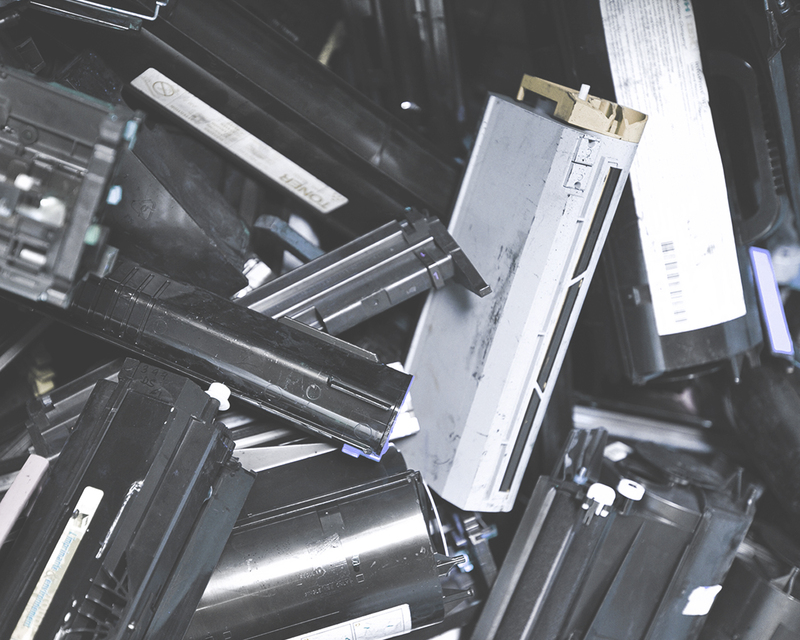 The cartridges collected by manufacturers are in most cases destroyed and crushed, with no sorting of raw materials, and certainly no recycling as remanufactured cartridges. Non-reusable cartridges are dealt with in a number of ways, ranging from incineration (with or without energy recovery) to crushing. At best, metals and plastics are separated out, but without the cartridges being properly dismantled. But as secondary raw materials are to be re-used, they must be pure, which means that the cartridges need to be carefully dismantled to distinguish the different types of materials. With OWA, you know how the cartridges collected from your premises will be treated ! The commitment made by OWA, the first print cartridge brand to recycle its products 100%, is to fulfil these requirements to the letter. Maintaining the quality of the original product is OWA’s priority, in line with its circular economy philosophy and in compliance with the European wastes hierarchy. All this is possible thanks to a comprehensive remanufacturing and recycling system. These technical requirements are matched by a commitment to transparency: OWA provides the companies that use its services with evidence in the form of a Materials Audit, which shows exactly what becomes of each empty cartridge. 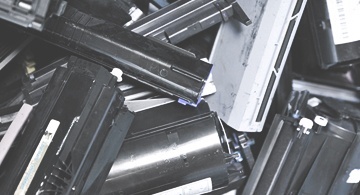 At the ARMOR Group recycling centres, the cartridges are separated by hand: those that can be reused as remanufactured cartridges are separated from non-reusable ones that will have to be dismantled. The dismantling is performed material by material to yield new secondary raw materials (plastic, polystyrene, scrap metal, copper and aluminium) that can be transformed into new products. This method obviates the need for landfill, incineration or the crushing of used cartridges.